My name is Roy Cheeks. I completed my first triathlon 10 years ago at Rumpus in the Bumpass and have been racing ever since. 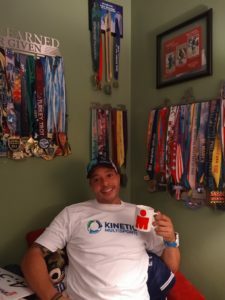 I have completed 2 full ironmans and numerous other races of varying distances. I enjoy helping others achieve their goals. I am currently a nursing student in Baltimore, MD. I look forward to meeting you at your next Kinetic Multisports race!